In How to Beat The Little Book That Beats The Market: Redux I showed how in Quantitative Value we tested Joel Greenblatt’s Magic Formula outlined in The Little Book That (Still) Beats the Market). We found that Greenblatt’s Magic Formula has consistently outperformed the market, and with lower relative risk than the market, but wondered if we could improve on it. We created a generic, academic alternative to the Magic Formula that we call “Quality and Price.” Quality and Price is the academic alternative to the Magic Formula because it draws its inspiration from academic research papers. We found the idea for the quality metric in an academic paper by Robert Novy-Marx called The Other Side of Value: Good Growth and the Gross Profitability Premium. The price ratio is drawn from the early research into value investment by Eugene Fama and Ken French. The Quality and Price strategy, like the Magic Formula, seeks to differentiate between stocks on the basis of … wait for it … quality and price. The difference, however, is that Quality and Price uses academically based measures for price and quality that seek to improve on the Magic Formula’s factors, which might provide better performance. The farther down the income statement one goes, the more polluted profi tability measures become, and the less related they are to true economic profi tability. For example, a firm that has both lower production costs and higher sales than its competitors is unambiguously more profitable. Even so, it can easily have lower earnings than its competitors. If the firm is quickly increasing its sales though aggressive advertising, or commissions to its sales force, these actions can, even if optimal, reduce its bottom line income below that of its less profitable competitors. Similarly, if the firm spends on research and development to further increase its production advantage, or invests in organizational capital that will help it maintain its competitive advantage, these actions result in lower current earnings. Moreover, capital expenditures that directly increase the scale of the firm’s operations further reduce its free cash flows relative to its competitors. These facts suggest constructing the empirical proxy for productivity using gross profits. We always emphasize that different price ratios are just different ways to scale a stock’s price with a fundamental, to extract the information in the cross-section of stock prices about expected returns. One fundamental (book value, earnings, or cashflow) is pretty much as good as another for this job, and the average return spreads produced by different ratios are similar to and, in statistical terms, indistinguishable from one another. We like [book-to-market capitalization] because the book value in the numerator is more stable over time than earnings or cashflow, which is important for keeping turnover down in a value portfolio. Next I’ll compare show the results of our examination of Quality and Price strategy to the Magic Formula. 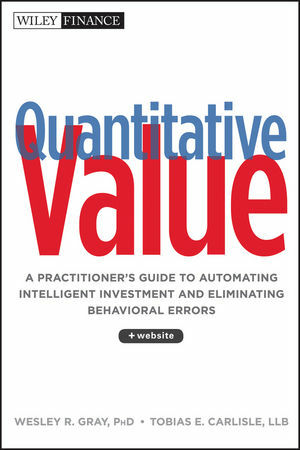 If you can’t wait, you can always pick up a copy of Quantitative Value. The Superinvestors of Graham-and-Doddsville is a well-known article (see the original Hermes article here.pdf) by Warren Buffett defending value investing against the efficient market hypothesis. The article is an edited transcript of a talk Buffett gave at Columbia University in 1984 commemorating the fiftieth anniversary of Security Analysis, written by Benjamin Graham and David L. Dodd. In a 2006 talk, “Journey Into the Whirlwind: Graham-and-Doddsville Revisited,” Louis Lowenstein*, then a professor at the Columbia Law School, compared the performance of a group of “true-blue, walk-the-walk value investors” (the “Goldfarb Ten”) and “a group of large cap growth funds” (the “Group of Fifteen”). For the five years ended this past August 31, the Group of Fifteen experienced on average negative returns of 8.89% per year, vs. a negative 2.71% for the S&P 500.4 The group of ten value funds I had studied in the “Searching for Rational Investors” article had been suggested by Bob Goldfarb of the Sequoia Fund.5 Over those same five years, the Goldfarb Ten enjoyed positive average annual returns of 9.83%. This audience is no doubt quick with numbers, but let me help. Those fifteen large growth funds underperformed the Goldfarb Ten during those five years by an average of over 18 percentage points per year. Hey, pretty soon you have real money. Only one of the fifteen had even modestly positive returns. Now if you go back ten years, a period that includes the bubble, the Group of Fifteen did better, averaging a positive 8.13% per year.Even for that ten year period, however, they underperformed the value group, on average, by more than 5% per year.6 With a good tailwind, those large cap funds were not great – underperforming the index by almost 2% per year – and in stormy weather their boats leaked badly. The first was the Massachusetts Investors Growth Stock Fund, chosen because of its long history. Founded in 1932, as the Massachusetts Investors Second Fund, it was, like its older sibling, Massachusetts Investors Trust, truly a mutual fund, in the sense that it was managed internally, supplemented by an advisory board of six prominent Boston businessmen.7 In 1969, when management was shifted to an external company, now known as MFS Investment Management, the total expense ratio was a modest 0.32%. I am confident that the founders of the Massachusetts Investors Trust would no longer recognize their second fund, which has become a caricature of the “do something” culture. The expense ratio, though still below its peer group, has tripled. But it’s the turbulent pace of trading that would have puzzled and distressed them. At year-end 1999, having turned the portfolio over 174%, the manager said they had moved away from “stable growth companies” such as supermarket and financial companies, and into tech and leisure stocks, singling out in the year- end report Cisco and Sun Microsystems – each selling at the time at about 100 X earnings – for their “reasonable stock valuation.” The following year, while citing a bottom-up, “value sensitive approach,” the fund’s turnover soared to 261%. And in 2001, with the fund continuing to remark on its “fundamental . . .bottom-up investment process,” turnover reached the stratospheric level of 305%. It is difficult to conceive how, even in 2003, well after the market as a whole had stabilized, the managers of this $10 billion portfolio had sold $28 billion of stock and then reinvested that $28 billion in other stocks. For the five years ended in 2003, turnover in the fund averaged 250%. All that senseless trading took a toll. For the five years ended this past August, average annual returns were a negative 9-1/2%. Over the past ten years, which included the glory days of the New Economy, the fund did better, almost matching the index, though still trailing our value funds by 4% a year. Net assets which had been a modest $1.9 billion at Don Phillips’ kickoff date in 1997, and had risen to $17 billion in 2000, are now about $8 billion. If you’re feeling some sympathy for the passengers in this financial vehicle, hold on. Investors – and I’m using the term loosely – in the Mass. Inv. Growth Stock Fund were for several years running spinning their holdings in and out of the fund at rates approximating the total assets of the fund. In 2001, for example, investors cashed out of $17-1/2 billion in Class A shares, and bought $16 billion in new shares, leaving the fund at year end with net assets of about $14 billion. Having attracted, not investors, but speculators trying to catch the next new thing, management got the shareholders they deserved. Having updated my data through August of this year, I am happy to report that the Goldfarb Ten still look true blue – actually better than at year-end 2003. The portfolio turnover rates have dropped on average to 16% – translation, an average holding period of six years. Honey, what did you do today? Nothing, dear.The average cash holding is 14% of the portfolio, and five of the funds are closed to new investors.f Currently, however, two of the still open funds, Mutual Beacon and Clipper, are losing their managers. The company managing the Clipper Fund has been sold twice over and Jim Gipson and two colleagues recently announced they’re moving on. At Mutual Beacon, which is part of the Franklin Templeton family, David Winters has left to create a mutual fund, ah yes, the Wintergreen Fund. It will be interesting to see whether Mutual Beacon and Clipper will maintain their discipline. Speaking of discipline, you may remember that after Buffett published “The Superinvestors,” someone calculated that while they were indeed superinvestors, on average they had trailed the market one year in three.20 Tom Russo, of the Semper Vic Partners fund, took a similar look at the Goldfarb Ten and found, for example, that four of them had each underperformed the S&P 500 for four consecutive years, 1996-1999, and in some cases by huge amounts. For the full ten years, of course, that underperformance was sharply reversed, and then some. 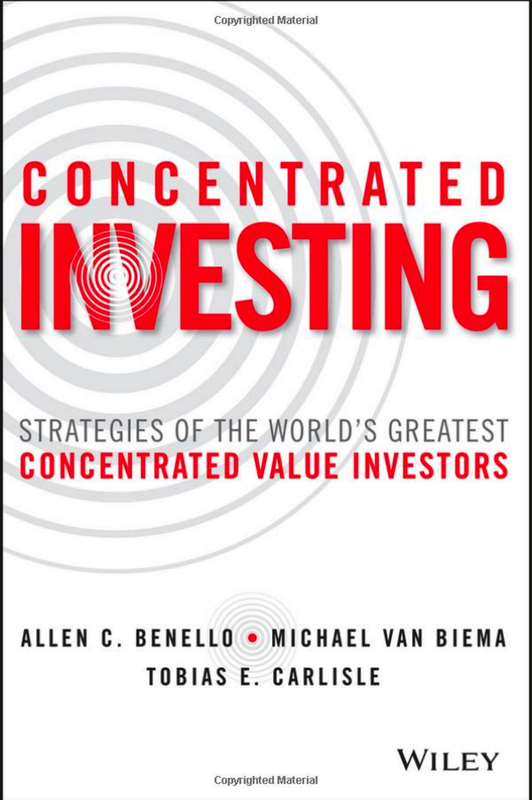 Value investing thus requires not just patient managers but also patient investors, those with the temperament as well as intelligence to feel comfortable even when sorely out of step with the crowd. If you’re fretting that the CBOE Market Volatility Index may be signaling fear this week, value investing is not for you. * Louis was father to Roger Lowenstein of Buffett: The Making of an American Capitalist. Warren Buffett ruled out a second recession in the U.S. and said businesses owned by his Berkshire Hathaway Inc. are growing. Berkshire bought railroad Burlington Northern Santa Fe Corp. for $27 billion in February in a deal that Buffett, 80, called a bet on the U.S. economy. The billionaire’s outlook contrasts with the views of economists such as New York University Professor Nouriel Roubini and Harvard University Professor Martin Feldstein, who have said the odds of another recession may be one in three or higher. Buffett first met Sokol in 1999 when Berkshire was buying MidAmerican, the Iowa utility. With longtime Buffett friend Walter Scott, Sokol had bought a small, $28-million-a-year geothermal business in 1991 and built it into that utility powerhouse. MidAmerican, headquartered in Des Moines, now represents an $11.4 billion slice of Berkshire’s revenue (about 10%), and Sokol is its chairman. In 2007, Buffett asked Sokol to get Johns Manville, an underperforming roofing and insulation company, on track, and he did; he is now its chairman. In 2008, Charlie Munger, Buffett’s vice chairman, asked Sokol to fly to China to conduct due diligence on BYD, a battery and electric car maker. Sokol liked what he saw, and Berkshire invested $230 million for 10% of the company. That stake is now worth around $1.5 billion. In April, when Buffett had concerns about a provision in the Senate financial regulation bill that would have required Berkshire and other companies to post billions of collateral on their existing derivatives, it was Sokol he sent to argue his case. Buffett’s side of the argument won. Constellation (CEG, Fortune 500) held vast amounts of energy futures contracts that had gone sour, and the company appeared to be on the verge of bankruptcy. Sokol, as chairman of the Berkshire subsidiary MidAmerican Energy Holdings, knew the utility industry and saw a chance to buy solid assets at a bargain price. The deal, however, had to be done within 48 hours or the company would have to file for bankruptcy. Sokol boarded a Falcon 50EX and sped to Baltimore. He met with Shattuck and struck a deal that evening to buy the company for $4.7 billion, staving off bankruptcy. Within weeks, before the acquisition was completed, Constellation’s board received a competing bid from Électricité de France for about a 30% premium. The board liked the offer, and so did Sokol — who walked away with a $1.2 billion breakup fee for Berkshire.